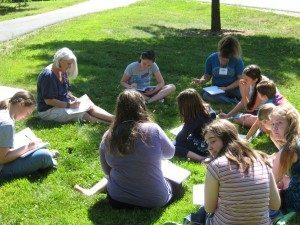 Since 1997, the Maine Writing Project has supported professional development for Maine educators and writing activity for Maine students. We would love to have you join us in one of our many programs. Please explore the tabs above to see the programs we sponsor, including the Annual Institute, our Graduate Degree in Writing and the Teaching of Writing, Young Author’s Camps, and many other programs. Maine Writing Project members are passionate about what we do.